Laments Auto Repair in Wayne, PA offers comprehensive auto service for just about every car, truck, make and model. We adopt your car and treat it like it’s our own. Operating at the same location since 1973, we provide trustworthy and honest auto care that keeps our customers coming back, year after year. 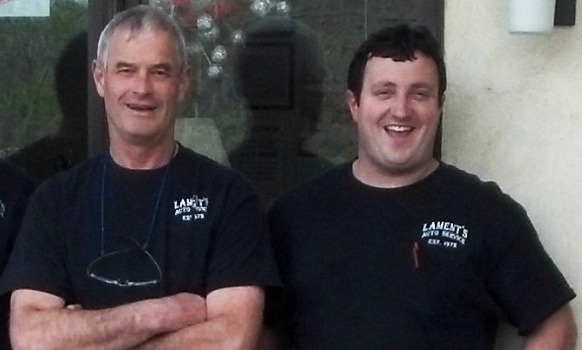 Oil changes, alignments, brakes and rotors, fuel injector service, air conditioning service, shocks and suspension, radiator and transmission service, PA State inspections, antique and classic car restoration and repair, is just a sampling of services offered by Lament’s. We don’t employ sales people or service managers or anyone else whose job performance is measured by how much revenue they generate. As a customer of Lament’s, you’ll only pay for the repairs your car requires. We like to know our customers on a first name basis. If you’re looking for a mechanic you can trust and are tired of the lack of personal service you receive at the big chains, bring your car to Laments today.